This lovely handmade glass hummingbird comes with a heart shaped sterling silver keepsake cremation pendant that can hold a small amount of cremation ash or hair from a loved one who has passed. The hummingbird is 4" long and 3" high the pendant is .75" in length and .5 inches in width. This amazing bereavement and sympathy gift is wonderful for anyone who lost someone close to them be it person or pet. Especially wonderful for those who had the hummingbird as their Spirit Animal. 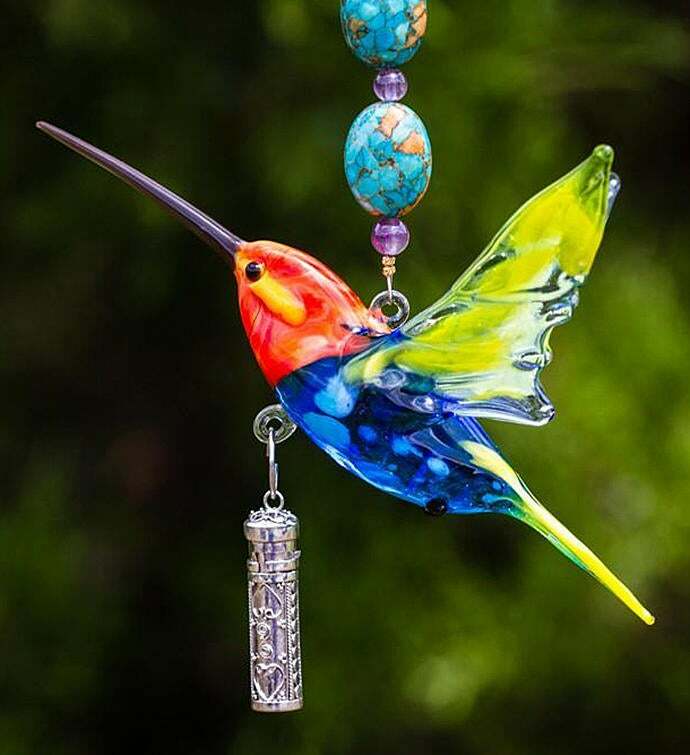 Place this hummingbird ornament in a garden off a bird house or next to a sunny window. An heirloom quality item it can be passed down through the generations. Comes beaded with semi-precious stones and a Swarovski crystal butterfly crystal. Total height of this remembrance ornament is around 10". As this is handmade there will be some differences from item to item. 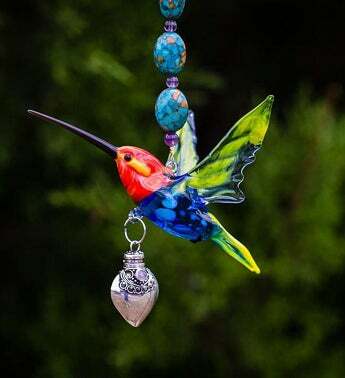 A beautiful redheaded hummingbird with semi-precious beading and a sterling silver keepsake urn for the ashes of your loved one.